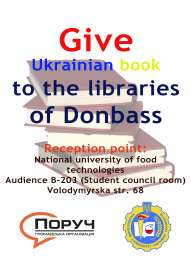 Another university was involved in action “Give Ukrainian book to the libraries of Donbass”. There is National university of food technologies. Reception point is in B-203 audience. 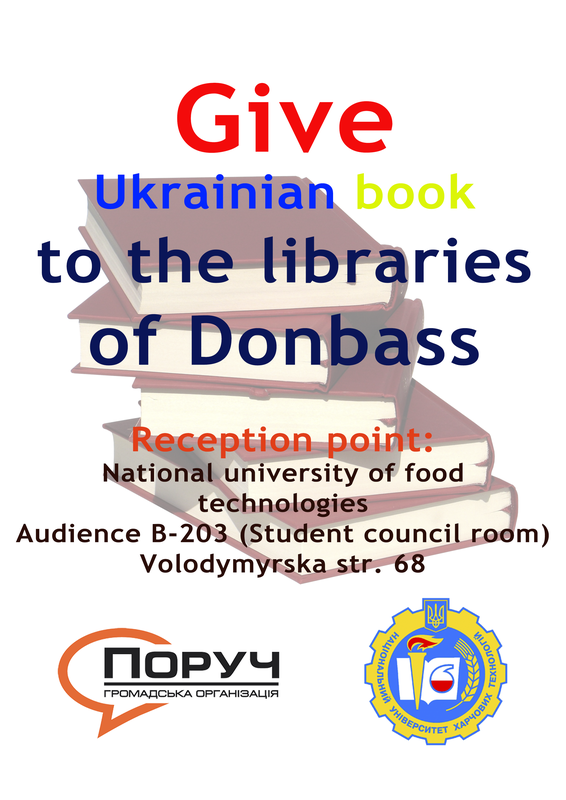 NGO “Poruch” conducts the action “Give the Ukrainian book to the libraries of Donbass”, which lasts from October 2016. The aim of this action is to increase the access of Ukrainian post-conflict regions to Ukrainian literature. All these books were collected by activists and were transferred to the libraries of Donetsk and Luhansk region. 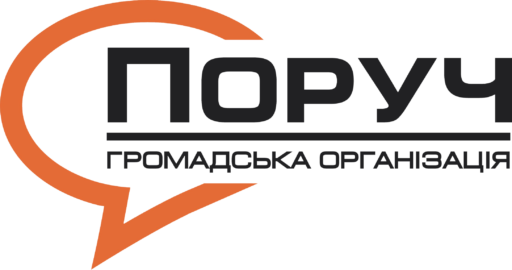 Over the course of time literature was added to Pokrovsky, Selidov, Lyman, Lysichansk, Bahmud, Velyki Novosilky, Troitsk, Pokrovsk and other towns of Luhansk and Donetsk region.